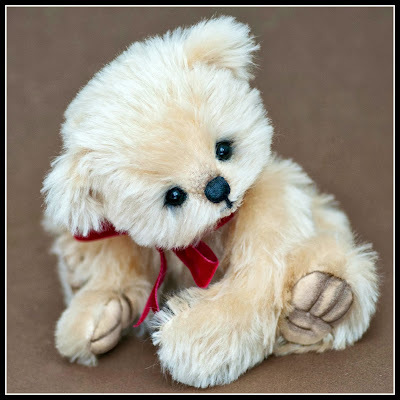 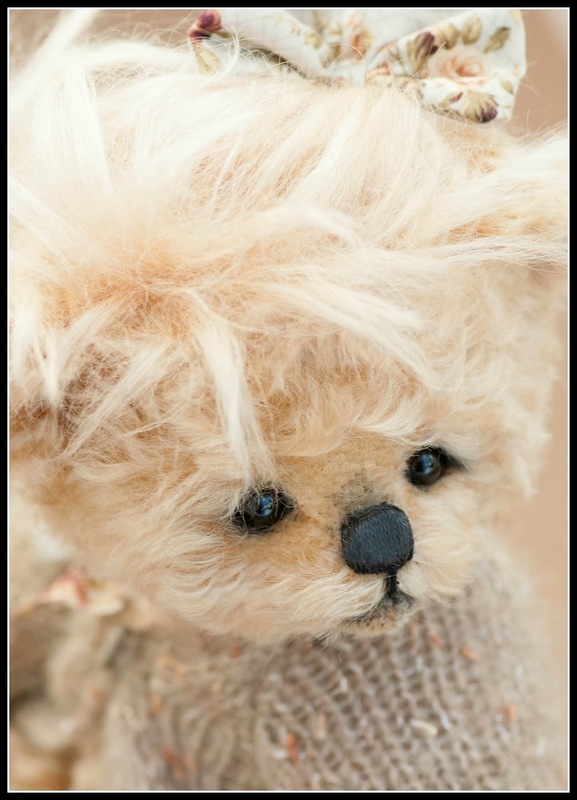 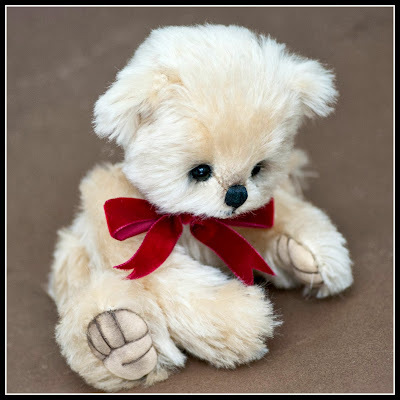 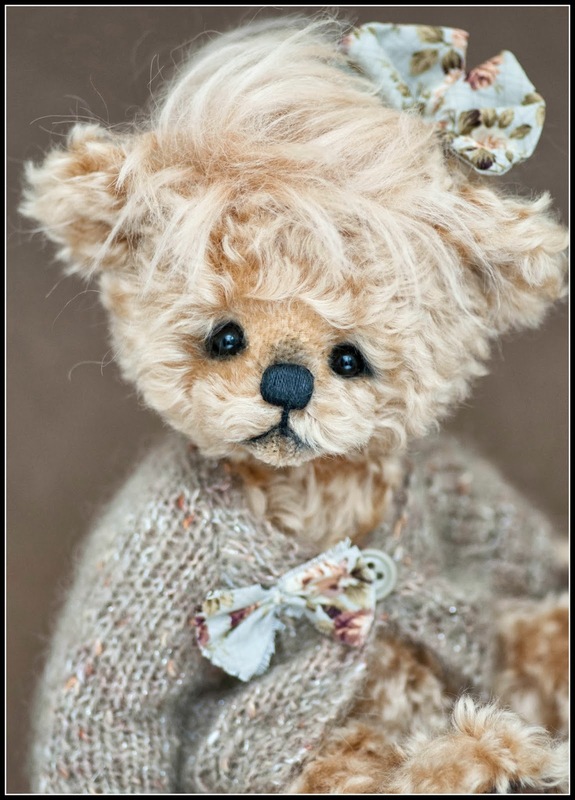 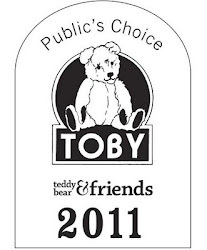 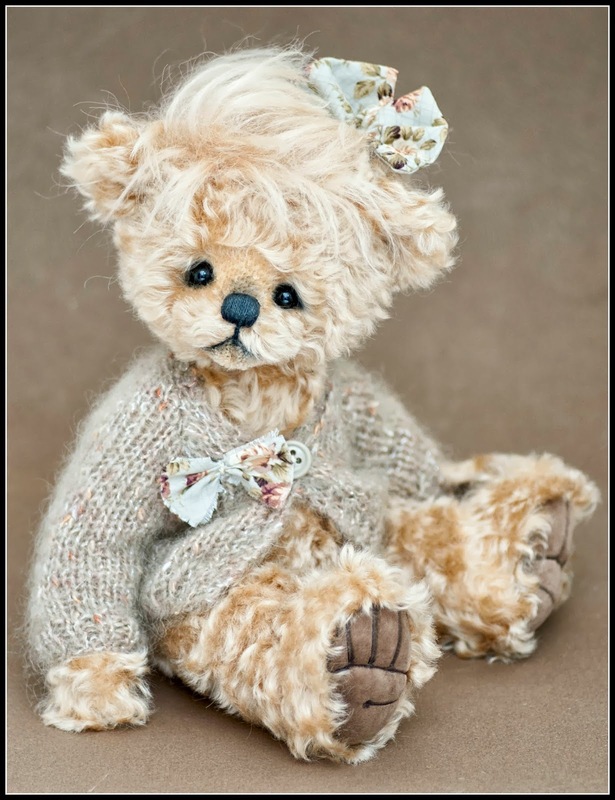 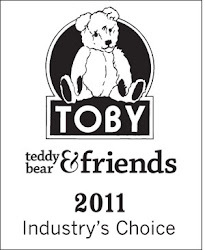 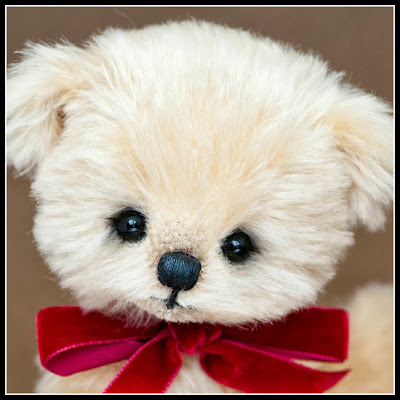 The first is FARLEY...a sweet 10 inch bear made from pale gold mohair. Trimmed with a little red velvet ribbon he has sculpted ultra-suede paw pads. Farley has been adopted ...huge thanks!! 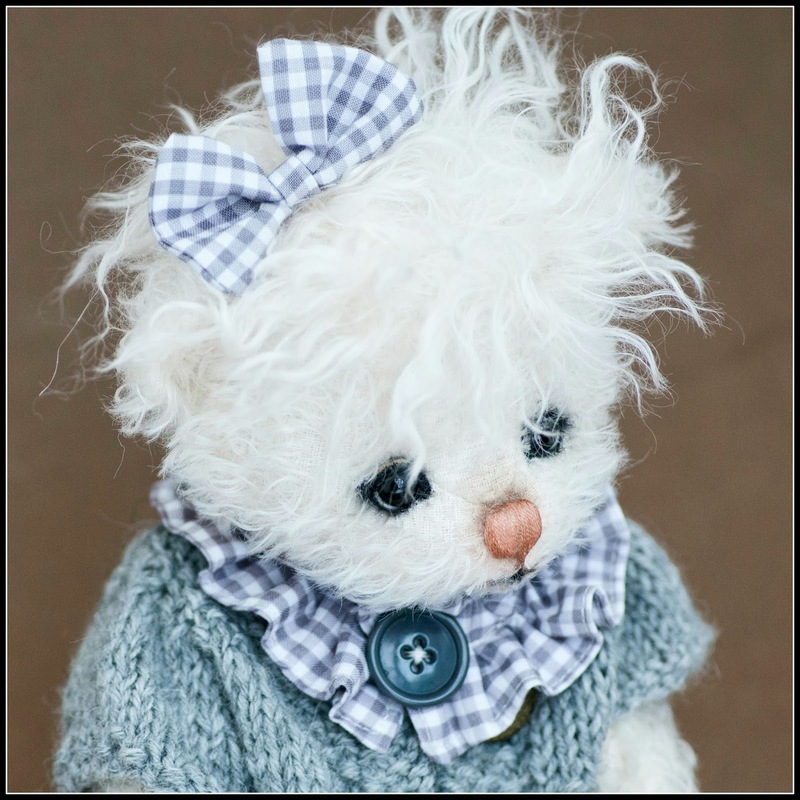 This is Karina ...she is 13 inches tall and has suede eye lids , lots of detailing and an inset hairdo trimmed with a grey check bow. 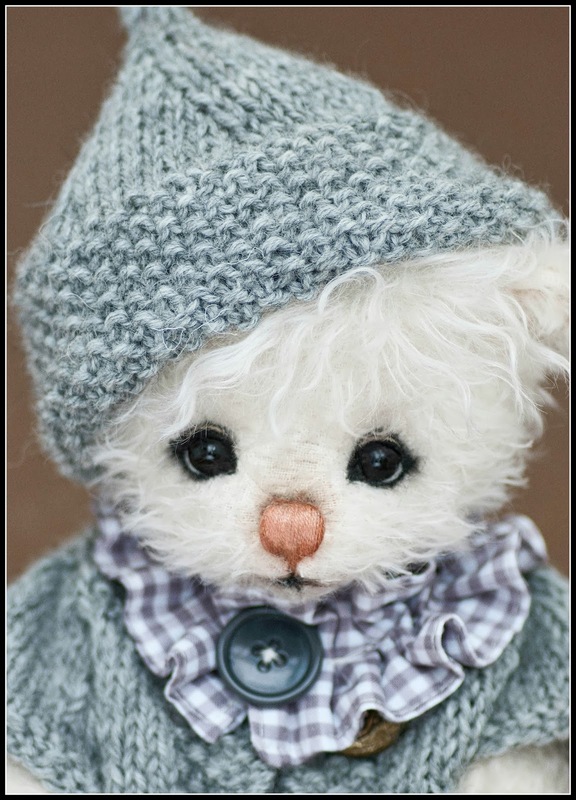 She wears a sweet pinafore dress with neck ruffle and a hand knitted coat and hat in grey wool. 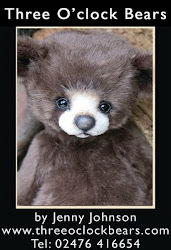 Latina has been adopted...huge thanks! 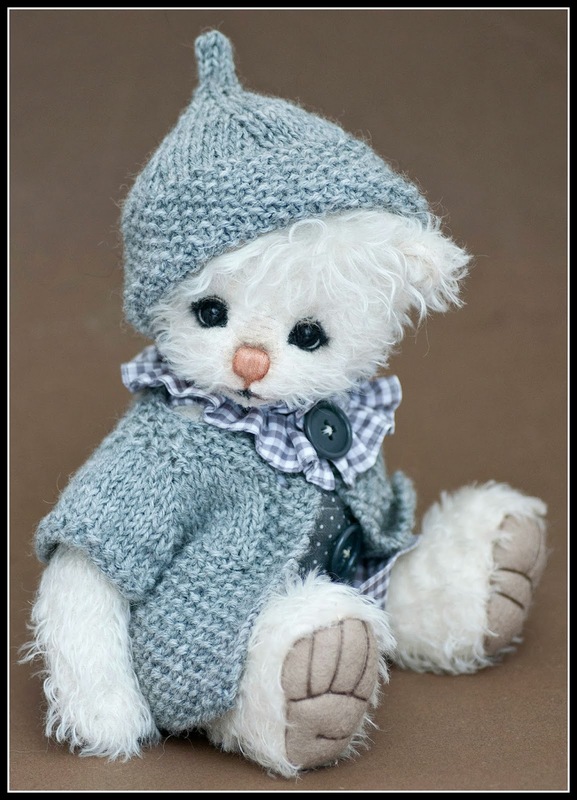 Tanya has been adopted..huge thanks!!! Jenny you are a marvel. They are all so beautiful.